Table with a top made through marquetry in ebony leaf. Its base is made from wood, lined with golden leaf. Finished with high gloss varnish. 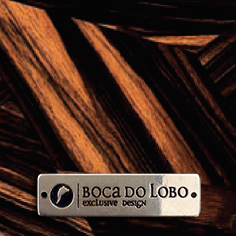 Product features: Table with a top made through marquetry in ebony leaf. Its base is made from wood, lined with golden leaf. Finished with high gloss varnish. Arts and Techniques: Joinery, Application of Golden Leaf and Varnishing. Materials and Finishes: Ebony leaf, Golden Leaf, Wood. Product Options: Top: Ebony leaf, palisander leaf or African walnut leaf. 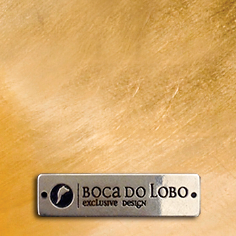 Base: golden leaf, silver leaf or copper leaf with high gloss varnish. Base: Available with a version of degrade in black.